I think everyone is in favor of restoring salmon runs that have declined over the past century. How to get the best return for the money spent is the question. Many people do not realize that spilling water to move salmon smolts to the estuary, at the wrong time, can kill fish because the estuary and ocean are not always full of food for the smolts to eat. The key is to have naturally spawned fish (wild) do what nature and biology require of them. Unfortunately, the most productive salmon habitats required to produce these wild fish are locked up behind dams in Idaho that do not have fish ladders. I am constantly amazed at how many people do not know that there are no fish ladders in the state of Idaho. But, it is the river and tributary spawning habitat in Idaho that once maintained the huge Columbia River fishery that existed 100 years ago. Knowledge of how and where salmon habitat has been eliminated is important to any dam-removal discussion. Knowledge of historic salmon habitat and the history of habitat loss gives those in the discussion of breaching dams the tools necessary to increasing salmon populations. Making the right decision is critical. We must be properly informed before making any dam-removal decision. By increasing spawning habitat, we will increase salmon numbers. 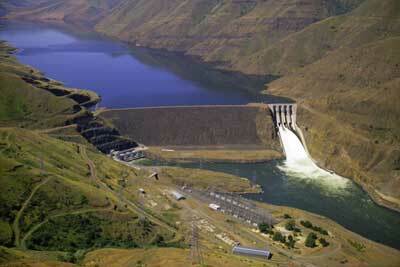 The area below Brownlee Dam, the area of the Lower Snake River dams, was never used as a significant spawning ground. Therefore, removing Lower Snake River dams will not create or reopen substantive spawning habitat for steelhead or spring/summer Chinook. The most productive spawning habitat still exists up-river from Lower Snake River dams. This knowledge will help determine the proper direction we take in restoring Snake River salmon.